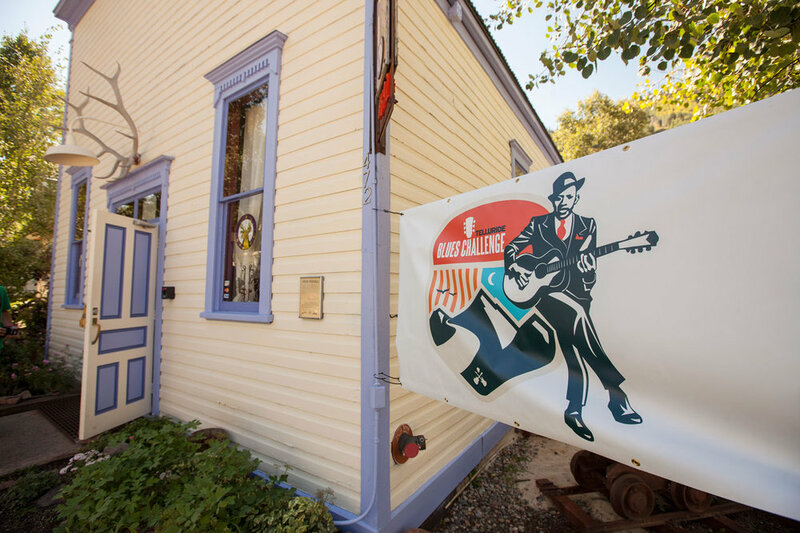 Through a partnership with Telluride Music Company, Telluride Blues Society and Colorado Blues Society, we are excited to present the 2019 Telluride Blues Challenge. 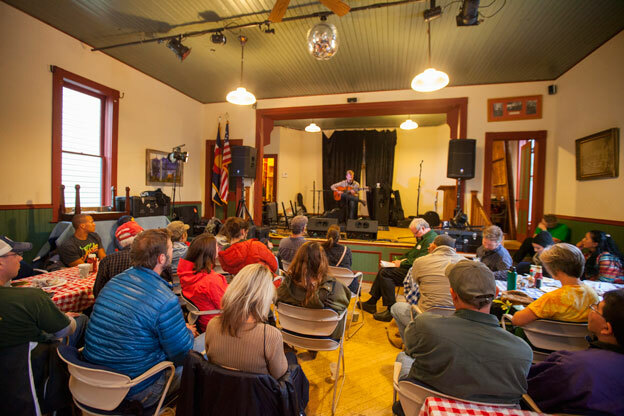 The Telluride Blues Challenge is an annual competition providing talented up-and-coming artists from the blues genre with an opportunity to advance their professional career and play the Telluride Blues & Brews Main Stage! Solo blues musicians not signed to a major record or publishing deal can enter by submitting two recorded songs for consideration. Solo vocalists are also encouraged to enter. Entries will be judged on blues content, vocals, talent, originality and overall impression. A panel of blues experts will narrow down entries and invite the top six to compete in a live final competition held on Saturday morning of the festival at a location to be determined. 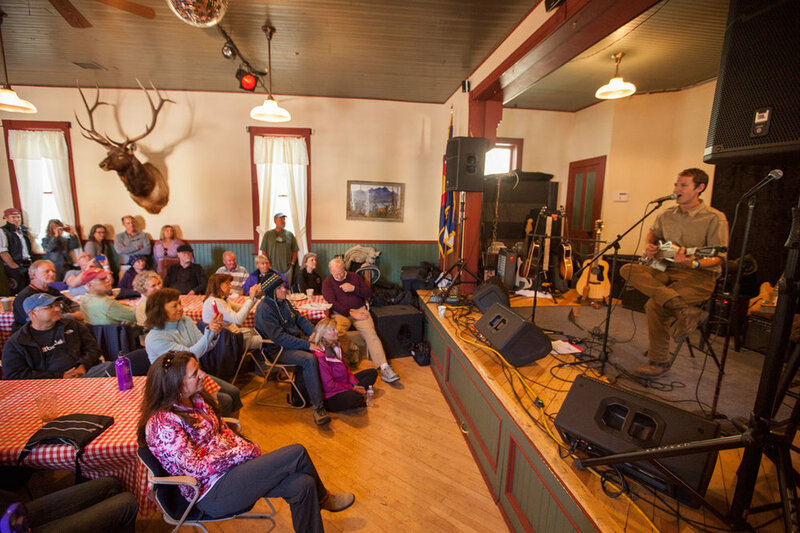 Here, the judges will select the 2019 Telluride Blues Challenge Champion. Solo performers – any act with one musician. Vocalists are counted as musicians for the purpose of this competition. Both electric and acoustic instruments are permitted. Anyone willing to travel to Telluride, Colorado for the challenge, held Saturday, September 14, 2019. The competition is open to anyone who fits the performer criteria. Please submit a clean recording of your solo performance, playing two songs. Performers are required to submit two (2) songs that best reflect their talent and style. There is a $5 submission fee to participate in the Blues Challenge. Submissions can be on CD, mp3 (upload online) or web link. For mailed entries, please use the address below accompanied by a $5 check made out to SBG Productions. 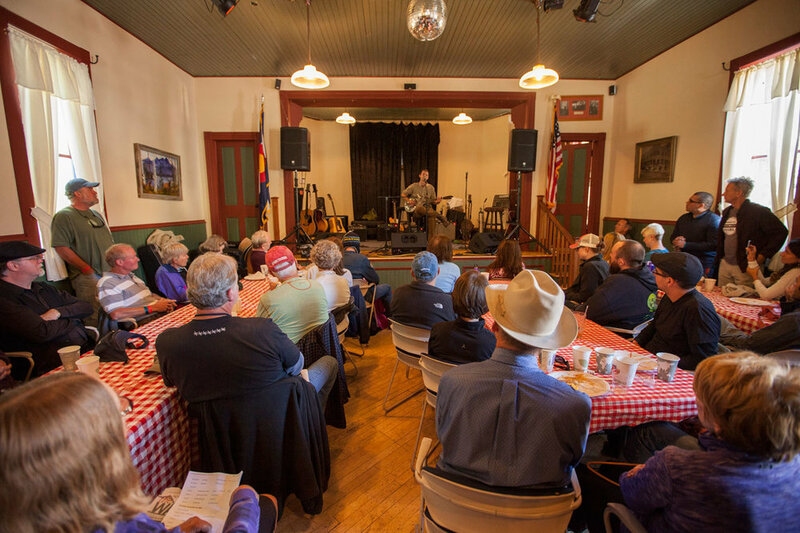 The Telluride Blues Challenge Finals will be held Saturday morning 9 am - Noon, September 14, 2019 at the Back Porch Stage at a location to be determined. The contest happens as part of "Blues for Breakfast", complete with a breakfast spread and full bar including breakfast cocktails during the event. Admission to the competition is free! Breakfast and drinks available for purchase. This event is a great way to see up-and-comers in the blues genre while starting your Saturday morning off before the Grand Tasting and music starts in the festival grounds. 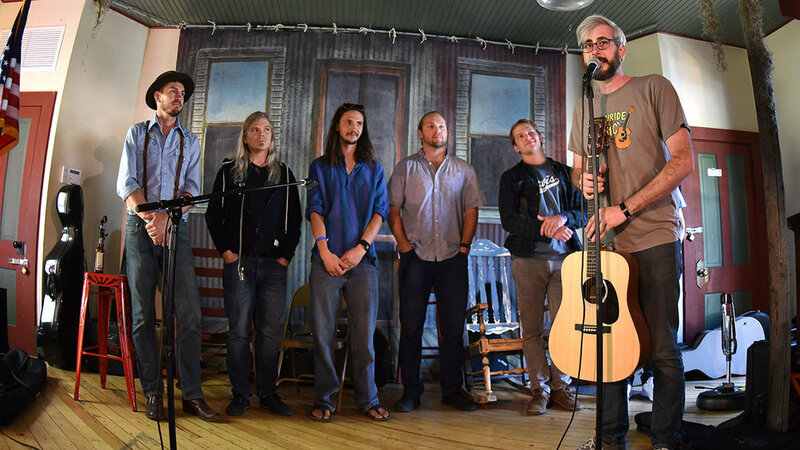 All six competitors will receive a Telluride Blues & Brews Festival T-Shirt, a 3-Day Festival Pass, and a $25 gift certificate provided by sponsor Telluride Music Company. Competitors will be judged on the quality of their overall live performance, including but not limited to Blues content, instrument use, vocals, and presentation (see scoring criteria below). During the weekend of the festival, each finalist will be required to perform, in person for a maximum of 20 minutes at a location to be determined on Saturday, September 14, 2019, starting at 9:00 am. The contestant order will be randomly assigned at the contest prior to the start of the challenge. Recommended time limit for each song is 5 minutes. Sorry, no loop machines allowed. All entries must be received by August 1, 2019, accompanied by a $5 submission fee. This competition accepts blues guitarists and/or vocalists, and any other acoustic/electric blues instrumentalists. Please DO NOT submit band demos, as the judges do not know who to listen for, or how you will sound as a solo competitor. PLEASE submit clean simple recordings playing 2 songs, either by CD, tape, or electronically online. One (1) three-day admission pass to the festival to be picked up at will-call under your name (Sorry, no 'significant other' discounts or extra tickets are given). One (1) $25 gift certificate to the Telluride Music Company. We wish we could offer it! 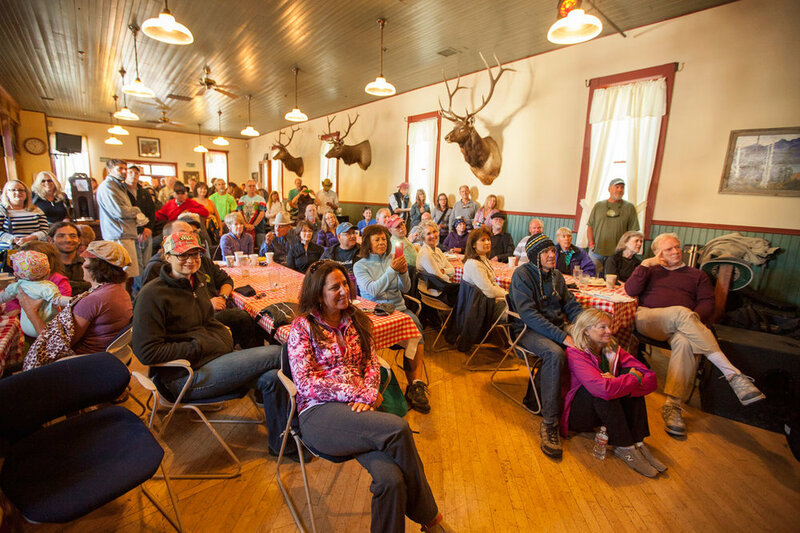 But you'll have find your own accommodations in Telluride and make travel arrangements prior to the competition on Saturday, September 14 at 9:00 am. For travel ideas, please visit our lodging and camping options. Most importantly, have a great time visiting Telluride at the Blues & Brews Festival! 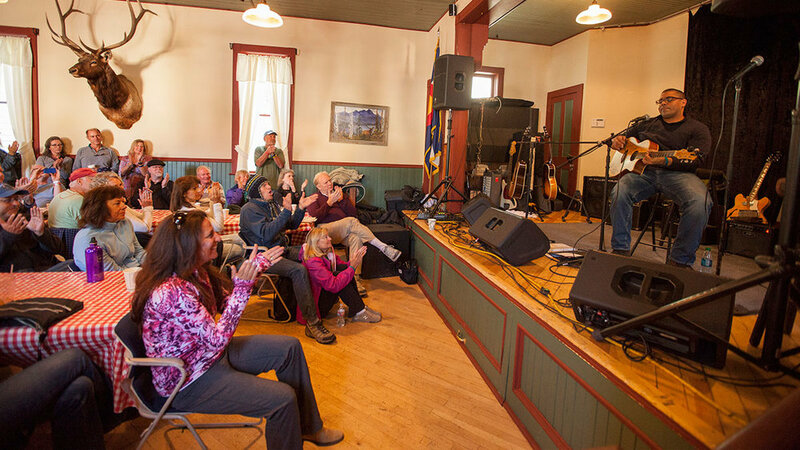 The Telluride Blues Society and the Telluride Blues Challenge has adopted the scoring criteria of The Blues Foundation. Categories include Talent Vocal, Blues Content, Stage Presence and Originality. Blues Content: Everyone has his or her own interpretation of what is and is not Blues. Thus, any given judging panel will include members with varying opinions of Blues, covering the spectrum of Blues whenever possible, from the most traditional to soul/blues and rock/blues. Musicians should pick material carefully. 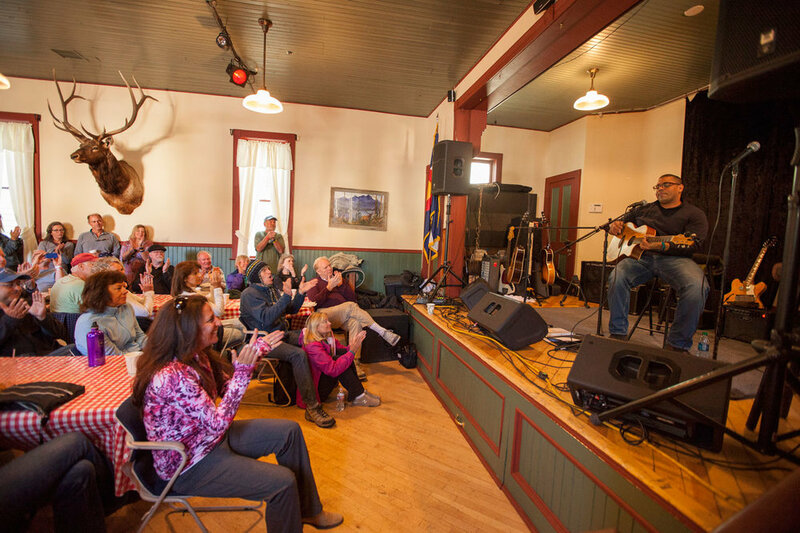 At the Telluride Blues Challenge, the judges are made up of music professionals, music enthusiasts and one audience member. Blues content will be weighted with a multiplier of 3. If you lack blues content you most likely will not make it to the winners circle. Vocals: The acts vocal skills. Talent: The acts instrumental skills. Originality: Original work is encouraged. Cover tunes are allowed but playing the recorded rendition lick by lick is discouraged; will not be looked upon favorably by the judges; and will be reflected in scoring. Stage Presence: Most contestants have performed on stage enough to know that they are not simply playing music, but putting on a show. This category rates how “sellable” a musician may be. Remember you are competing to perform on the main stage in front of 9,000 people. To reflect the relative importance of each category in the success of a musician, a musicians score in each category is weighted. Raw scores for Blues Content are multiplied by three, talent and vocals by two and Originality and Stage Presence by no multiplier. The total in each category represents the weighted score for that category. Total possible weighted score is 90. A submitting act will be penalized one point from its total weighted score (see below) for each ten seconds that it runs overtime. There is no penalty for using less than the allotted time. A penalty of one point for excessive time loading-in and out will also be applied. The weighted multipliers will be Blues content (3); talent and vocals (2); originality (0) and stage presence (0). 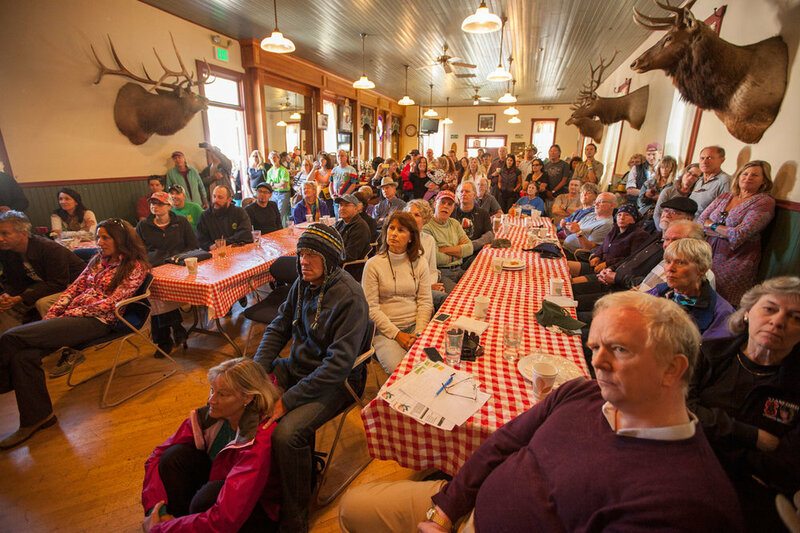 Here is the scoring procedure for the 2019 Telluride Blues Challenge. These rules are based on the 2019 IBC scoring system. 1. All categories and weightings are as previously stated. 2. Each judge will indicate his or her Raw Score (a whole number between 1 and 10) in each category and turn that information over to the scorekeeper. 1-3 – Typical of a beginning blues musician. 4-5 – Typical of a local weekend musician. 6-7 – Typical of an advanced local musician but not yet ready to headline a major blues club. 8-9 – Typical of the quality of blues artists who headline major clubs. 3. The scorekeeper will multiply the Raw Score in each category by the established multiplier to get each judge’s Weighted Score in each category for each act. 4. The Weighted Scores from each category for an act are added together to determine the acts’ Total Weighted Score for each judge. 5. Any penalty points will then be deducted to obtain the act’s Net Weighted Score for each judge. 6. After all acts have been judged and each act’s Net Weighted Score for each judge calculated, each act will then be ranked for each judge based on that judge’s order of scores, with the act receiving the judge’s highest Net Weighted Score being given a ranking of 1, and so on for that judge. So, in a competition with six acts, for example, each judge ends up with the acts ranked 1 – 6 based on each judge’s personal scoring habits. This results in the acts’ Final Ranking Number for each judge. 7. In the case of a tie, the scorer shall calculate the sum of all Net Weighted Scores from all judges for the tied musician. The musician with the higher sum of Net Weighted Scores wins. 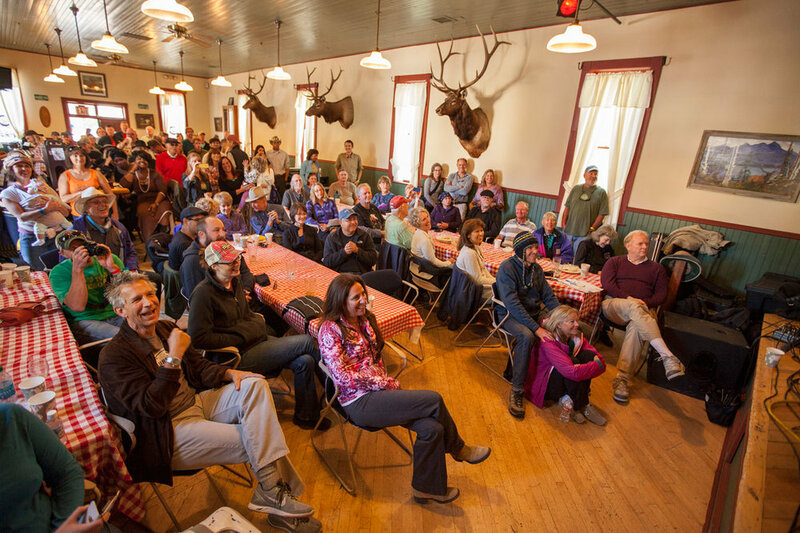 Congratulations to all the past winners of Telluride Blues Challenge!